The Elephone P8 Mini was benchmarked on Antutu and its scores were nothing but impressive, beating the Xperia Z Ultra, HTC Desire Eye, and ZTE Blade V8. 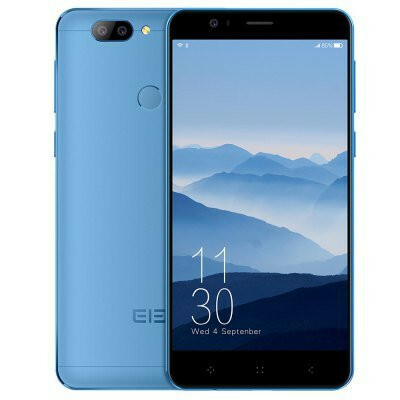 The Elephone P8 Mini was launched sometime last month, with the OEM marketing it as some sort of budget-priced mid-range killer. The device was benchmarked on Antutu recently and that tagline may as well be true, as it had an impressive showing. More impressive, even, considering it's on sale for $99.99 at some online shops. The device scored 42,000 on Antutu, doing better than Sony's Xperia Z Ultra flagship from 2013, a device that retails for close to $170. This showing is proof of the industry's improvements in terms of raw performance and software optimization. The P8 Mini ships with the MT6750T, MediaTek's mid-range SoC from 2016. It also sports a 5" FHD display, 13MP rear camera, 16MP selfie shooter, 4GB of RAM, 64GB of internal storage, a full metal body, and a 2860mAh battery—which is rather disappointing considering other features. The device is still only just on presale—with a price tag of $99.99, but final retail prices are unconfirmed at the moment.